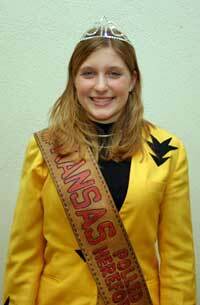 The Kansas Polled Hereford Queen is selected each December at the annual meeting. For information about the program contact any of the officers or directors. $10/year which includes National Poll-ette dues.